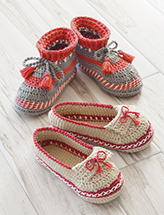 These slippers are perfect for keeping your toes warm and cozy every day of the year! 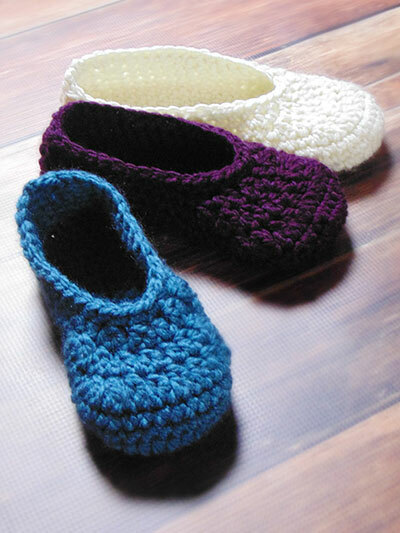 With 3 different sizes, you can make a pair for you, family and friends. Size: includes Adult S through L. Made with bulky (chunky) weight yarn and size H/8/5mm hook.